The UniTech PW110 Keyboard and Terminal Wedge Reader has reached end of life. 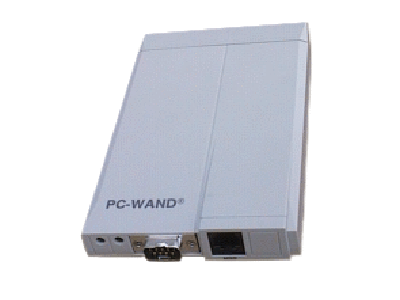 The PW 110 Keyboard and Terminal Wedge Reader is a flexible bar code and magnetic stripe reader. The Reader supports a variety of input devices such as bar code wand, CCD scanner, laser diode scanner, slot reader, and single/dual track magnetic stripe reader. It will simultaneously connect two of such devices to the host system. The PW110 is designed to be used as a keyboard wedge reader and is compatible with IBM PC XT/AT, PS/2, Macintosh and a variety of terminals. When installed, there is no need to modify existing applications and it does not require software drivers, making your system more stable. The configuration gives the user specific control over symbologies, interface, and data editing features like preamble and postamble. There is also the ability to send special keys to the system before or after a bar code is sent. Its advanced setup allows configuration cloning, making it easy to copy one configuration to other decoders. This is especially useful for large installations. Find it faster! Click here to compare PW110 Keyboard and T (...) models by feature.